The first edition which will be on 29-30 September includes Malaysia’s own Sheila Majid, Andy Peterson and The Shanghai Sisters, Singapore’s Jeremy Monteiro and the Asian All-Stars Quartet featuring Melissa Tham, Indonesia’s Kunto Aji, Abdul and the Coffee Theory and Balawan Magic Fingers, Thailand’s Mellow Motif and many more talented musicians. Happening outdoors with a view of the Sarawak River, jazz enthusiasts will enjoy a jazz concerts with open air and indoor food courtyards, specialty bazaars, arts, crafts, activities and games for children. 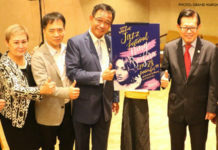 The event is created to give prominence to the Kuching Waterfront and at the same time be a platform to nurture and grow local talents in Jazz music. Early bird tickets prices begin at RM60 per day or RM100 for 2 days for adults, and RM30 per day for kids aged 3-12 years old. Normal rates are RM80 per day/RM120 for 2 days for adults and RM40 per day for children. Hotel packages are also available from Grand Margherita Hotel, Riverside Majestic Hotel and Damai Beach Resort. 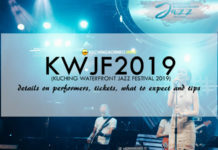 For more information, you can get it at www.kuchingwaterfrontjazz.com or search Kuching Waterfront Jazz on Facebook and Instagram. You can also call 082-555189 or email kuchingwaterfrontjazz@gmail.com for further enquiries. Kuching is not only home to the Kuching Waterfront Jazz Festival, but it also has a few notable nature reserves such as the Gunung Gading National Park, the Bako National Park, the Kubah National Park, the Kuching Wetlands National Park, the Talang Satang National Park and the Santubong National Park. All these parks are rich in flora and fauna and are a major attraction for those seeking to get close to nature. 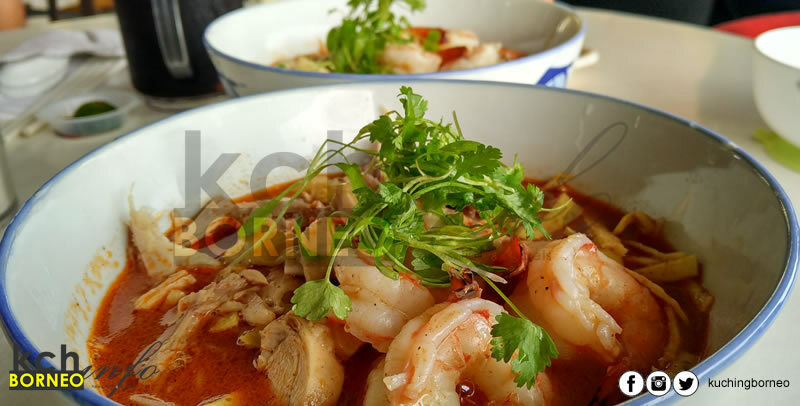 Aside from national parks, food in Kuching has always been a focal point of mention for anyone with these highly recommended Sarawak Laksa stalls listed to give you the best Laksa Sarawak. Aside from Sarawak Laksa, local food would also be a must try, with these seafood places highly recommended by locals as they are not only cheap, but consistent in their quality. For those wanting to shop, check out shopping malls in Kuching, and last but not least, learn more about Sarawak (and Kuching) before you come by reading this quick guide I prepared. See ya at the KWJF!